This NBA season has featured many trade rumors. From Anderson Varejao rumors to DeMarcus Cousins rumors, and now there have been many rumors about Rudy Gay. But will any of these players be dealt by the trade deadline? DEMARCUS COUSINS- One of the better young Centers in the league, Cousins has been featured in many trade rumors this season. The team that had been showing the most interest is the Boston Celtics, and reports actually stated that they were on the verge of trading for the disgruntled Sacramento center. But the report was almost immediately shot down, and now the Maloofs say there is no way they are getting rid of Cousins. He is not being traded. ANDERSON VAREJAO- A few weeks ago, it seemed almost certain that the league’s leading rebounder would be dealt. But an injury may keep Varejao out until past the deadline unless he makes a lot of progress rehabbing from surgery. The verdict is still out on whether he will remain a Cavalier, but I think that teams will be reluctant to trade for the center after such an injury. UPDATE: Varejao will miss the rest of this season as a blood clot was discovered in his lung. 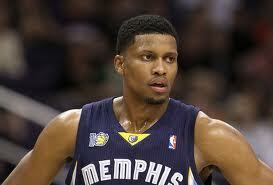 RUDY GAY- Of course, the player most recently popping up in trade rumors is Rudy Gay. It is no secret that the Grizzlies are looking to deal him, especially after offering him to the Minnesota Timberwolves (which was rejected). There are many teams interested, but will they have enough to offer. Reports surfaced recently that it would take a lot for Memphis to deal Gay, and he will most likely stay put. 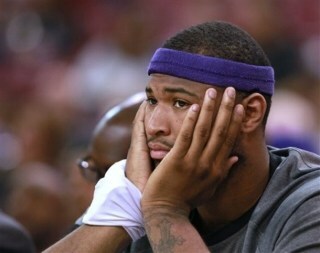 JOSH SMITH- The big man out of Atlanta may be the biggest prize available this year. He may want out of Atlanta (there have been conflicting reports), and if a team offers a big deal, he could be dealt. Not many rumors have surfaced about any trades yet, but there are many teams interested. The verdict is still out on Smith, and there is a good chance he will be traded. So maybe this won’t be the trade season we all expected it to be, and maybe there will only be only small deals this February.